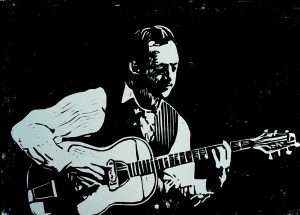 Titus Waldenfels spielt Gitarre, Violine, Banjo, Steel Guitar & Foot Bass, in einer Vielzahl von Besetzungen, seit über 25 Jahren, in Europa, Deutschland, Bayern, München & Texas, in allen nur erdenklichen Lokalitäten von namhaften Theatern, Festivals bis zu Kleinkunstbühnen & Wirtshäusern. Siehe Rubrik Bio & Blog auf dieser Seite. Titus Waldenfels, born and raised in Munich, Germany has been a professional freelance musician for more than 25 years. He has played in many European countries such as France, England, Spain, Italy, Czech Republic, Austria and fused into the vivid music scenes of Vienna as well as Hamburg and Berlin, worked with German Krautrock pioneers Embryo and members of Amon Düül, immersed himself in the Swing Jazz of great gipsy musicians everpresent in his country and has spent months in Texas, USA, playing with a wide range of local musicians. He has developed his own style of Jazz oriented, Blues based music, reworking influences of Country, Tex-Mex and Ska. 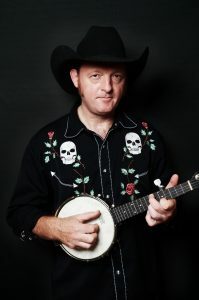 Titus Waldenfels plays guitar, violin, mandolin, banjo and steel guitar, sometimes providing his own rythym by playing a one-string bass guitar with his feet simultaneously.